RAW HOLLYWOOD : REMIX: KOREDE BELLO FEAT. KELLY ROWLAND "DO LIKE THAT"
REMIX: KOREDE BELLO FEAT. KELLY ROWLAND "DO LIKE THAT"
Afro-pop music artist Korede Bello dominated the music scene of Africa in 2016 with his single "Do Like That" that was an instant hit. He takes the track to a new level in 2017 with the official remix featuring brown boned beauty Kelly Rowland. 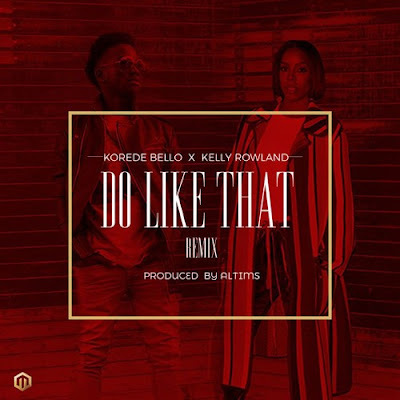 The original track boasted a Afrobeat that had hit roots all over it, but this remix intertwined his sound with a seductive r&b flavor that made it perfect for Rowland. Get into the remix below.